Choosing a dentist these days is not easy. We want you to know that we understand that. You’ll find that our dental office in Saint Joseph does things a little bit differently than most. Probably because we approach our relationship with you a little bit different than most other dentists might. It doesn’t mean we think we’re better. It means we know we are different. Our office team focuses on you as a person and what your dental health needs are. We take the time to get to know you. We think the way we connect with people is what makes us special. The doctors fully appreciate the fact that you have your choice of dental health care providers. It is our intention to do more than care for your teeth. We believe we were caring for you as a person as well. It is our hope that you feel good about every interaction you have with the team members you come in contact with. We love living in Saint Joseph and being able to provide our community with this type of relationship as a dentist is important to our overall mission in life. We invite you to find out more about us and our team (who we are extremely proud of). Dr. Susan Charles was born and raised in Kansas City. She worked for her father, Dr. Jerome Holtzman, who was a general dentist and practiced in Prairie Village, Kansas for over 50 years. During this time she obtained her BA in art history from UMKC but enjoyed working with her father so much that she realizes the dental field was where she truly wanted to be. 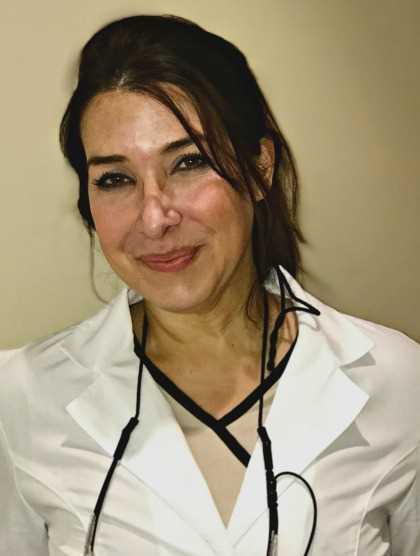 She graduated from UMKC school of dentistry in 2008 and afterword worked as an advanced fellow in the special patient care center at the dental school, where much of the practice concentrated on treating oncology, transplant and special needs patients. Dr. Charles has been married to Jim for 19 years. In her free time, she enjoys gardening, growing African violets, working on their home, taking cooking classes and on many weekends, competitively showing her Persian cats in CFA. She and Jim also enjoy traveling, spending time outdoors and visiting local art museums. Dr. Curry and his wife Susan returned to their hometown of Saint Joseph, MO after Dr. Curry completed his Dental degree at U.M.K.C Dental School. They raised two daughters Elizabeth and Laura. Dr. Curry and Susan have been very active in their church, community and professional organizations. Dr. Curry enjoys his profession and the community he serves. When not at his office or serving his community, he enjoys reading, golf, gardening and visiting with longtime friends. Professional Organizations: American Dental Association, Missouri Dental Association, Northwest District Dental Association of Missouri, American College of Dentists, Dr. R.V. Tucker Gold Study Club. Dr. Taylor taught at the UMKC School of Dentistry for 33 years and during that time he held various positions including Chair of the Department of General Dentistry. 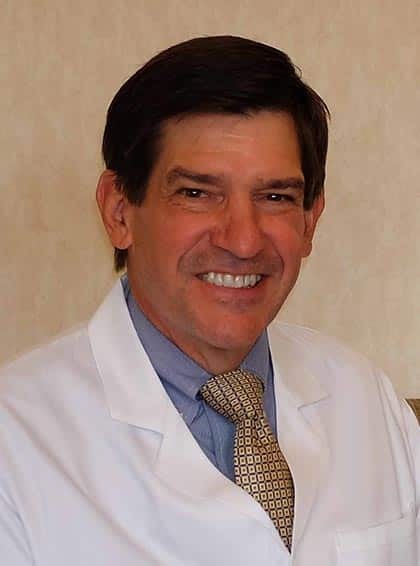 He also was one of the founding members of the Dental Faculty Practice in 1983 where he practiced until he retired and became a partner in Curry and Taylor D.D.S. Dr. Taylor and his wife Kandis are 28-year residents of Trimble, Missouri. They have the blessing of two daughters, Emily, who is a resident in pediatric dentistry at Indiana University, Riley Hospital, and Laura, a recent graduate of the University of Missouri, Columbia. The entire family enjoys the outdoors. Dr. Taylor especially enjoys hunting and fishing with his daughters. He likes to report that his daughter’s goal in the expeditions is to show him up, which they often do. He very much enjoys serving the people in and around Saint Joseph as a valued member of our office and dental community. He will treat you as a member of his family. Professional Organizations: American Dental Association, Missouri Dental Association, Northwest District Dental Association of Missouri, American College of Dentists, International College of Dentists, Dr. R.V. Tucker Gold Study Club. Dr. Asano has lived in Kansas City, MO for 6 years. She graduated from the UMKC School of Dentistry in 2014 and completed a 2-year Advanced Education in General Dentistry Residency Program in 2016. She is originally from Hilo, Hawaii where her parents, sister and nephew currently reside. During her free time, you can find her biking around downtown KC, hiking, and volunteering with nonprofit organizations through Serve KC. She also enjoys cooking and taking annual trips with her family. They recently explored Osaka and Matsumoto in Japan. Dr. Asano serves her patients wholeheartedly and helps them in attaining healthy, functional smiles. She takes the time to listen to their concerns and allows patients to be actively involved in selecting the most appropriate treatment option for them. Dr. Asano’s calm and compassionate nature puts otherwise anxious patients at ease. Civil Organizations: Serve KC, The Cause Church, Active Alumnus of Student National Dental Association UMKC Chapter, Missouri Mission of Mercy; an annual charitable event sponsored by the Missouri Dental Association. It served 1,500 indigent patients this year.